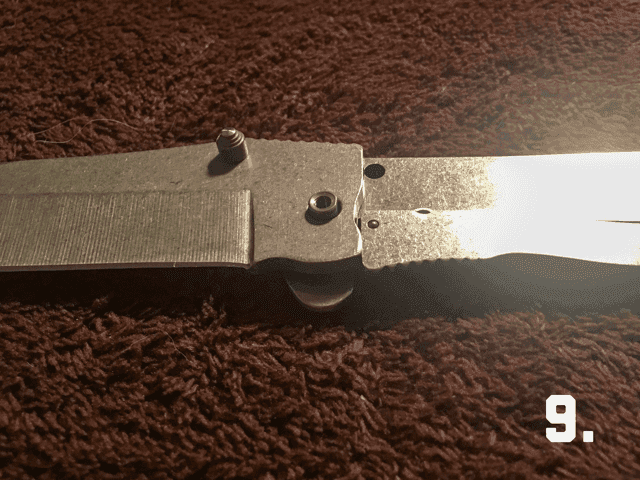 I was recently digging around in some of my knife stuff boxes, looking for a Japanese stone for an upcoming article, when I came across this little box containing what I first thought was just some extra folding knife parts. I set the box aside and continued on my quest. However it was nagging on me about that box of knife stuff. That same kind of nagging you have when you see someone you think you might know, but can’t remember who they are to save your life. Finally it came to me. 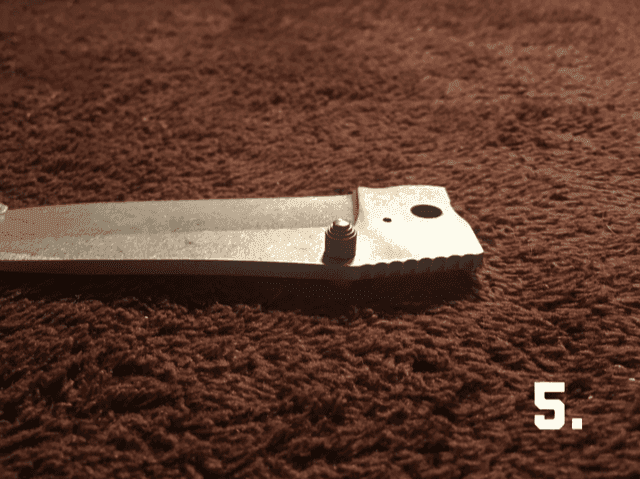 It wasn’t parts, instead it was a kit knife that I had won in a contest a few years back and never put together. Then I decided it would make a pretty good review article. 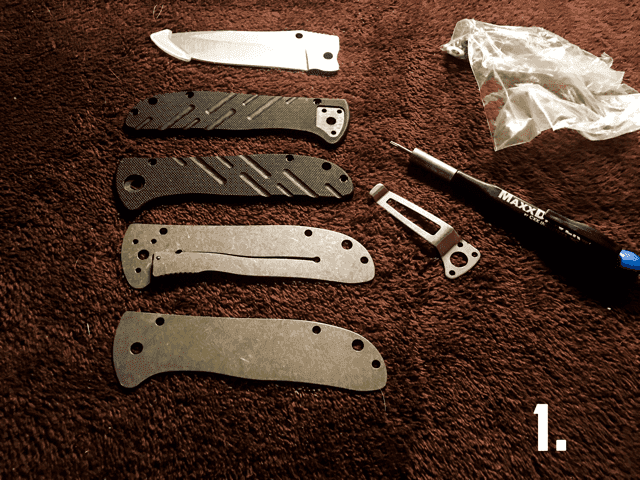 This kit came from the folks at USAknifemaker. Of whom I am just a customer like anyone else. They do not sponsor me in anyway (but oh I wish), nor do they provide me with anything in exchange for a review. I won some contest several years ago is how I came to have the kit. 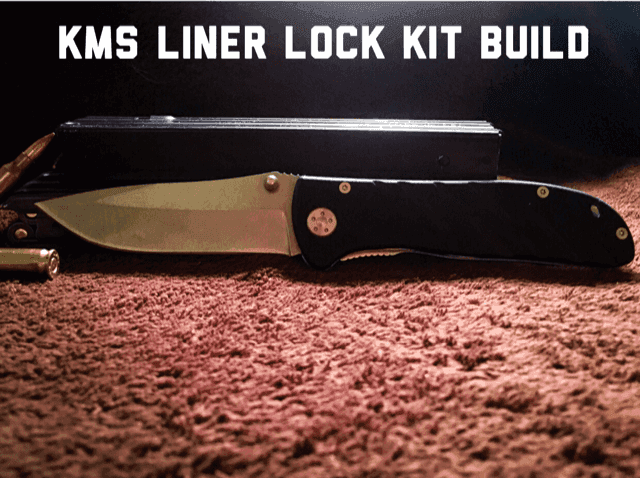 It’s listed on their site as a ‘KMS Liner Lock stone wash blade finish folder kit’. The last time I checked it was priced around 30 bucks I think. I removed the kit from the box and spread it out on my workbench. I was able to take some photos of the assembly, however my product photography gear wasn’t available so please forgive the darker photos. Very minimal tools are needed for this project. 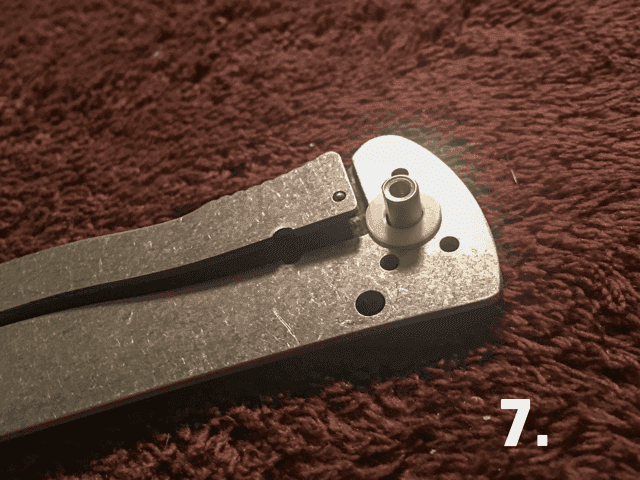 A T6 TORX, a paper clip and a small pair of Pliers is handy. 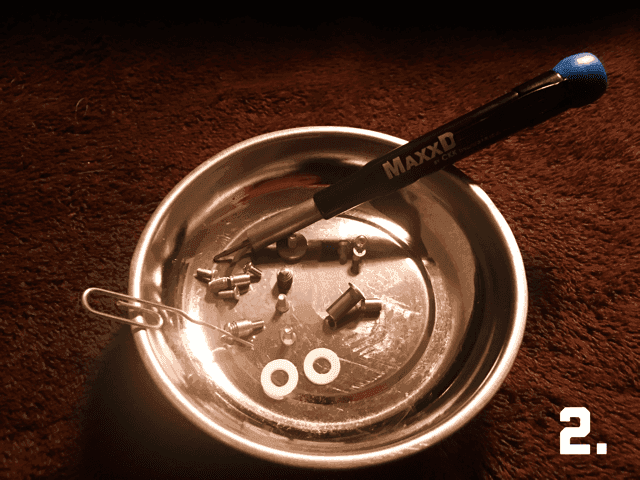 Once you have everything laid out, it’s best to put all those tiny little screws in a dish or bowl, or even better one of those little magnetic dishes. 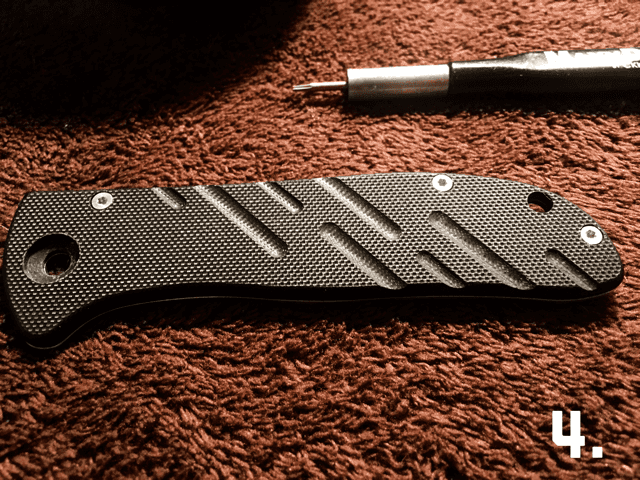 Find the side of the knife that does NOT have the blade closing thumb thing, find the scales that match that side. 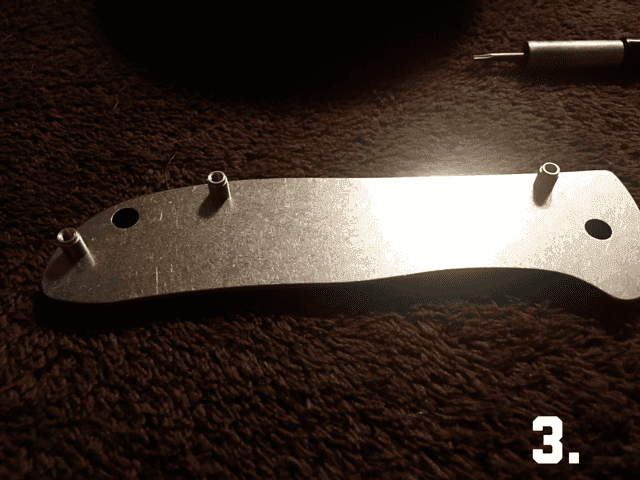 Using 3 of the flat screws and 3 of the stand off posts, attach the scale to that side of the knife. Don’t tighten a single screw all at once, tighten each one a little and keep rotating around the screws so nothing gets linked or in a bind. Be careful not to over tighten and crack the scales or anything. Next I added the thumb buttons to the hole in the blade. This is where the pliers come in nicely. Once you have it snugged down, you can always come back to it later and retighten. 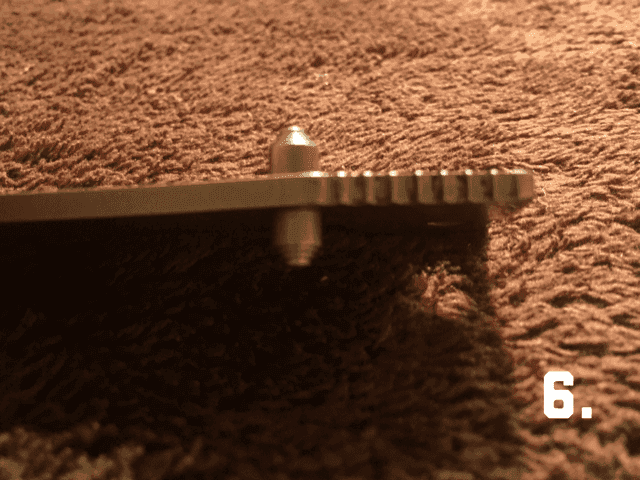 Next I took the side with the thumb spring bit and the scale to match that side, Fed the swivel through, added a washer, then the blade, and using the flat headed screws, add the other washer and start joining the two sides. 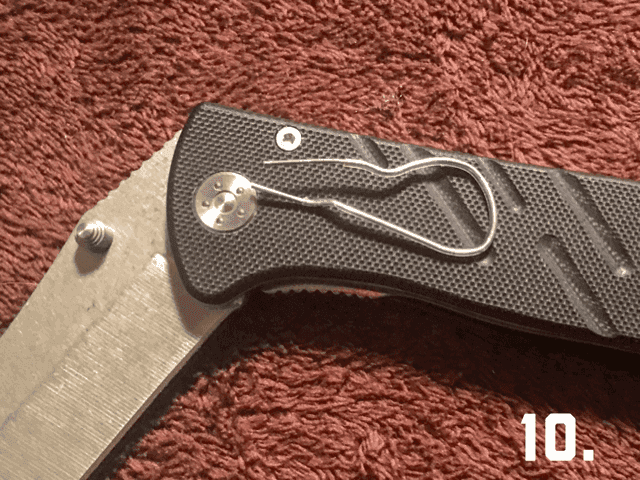 As you start screwing in the other half of the swivel, you can take a paperclip open it up, double it over and use both ends in the little holes as a custom tool. You can tighten it up with pliers holding the paper clip. 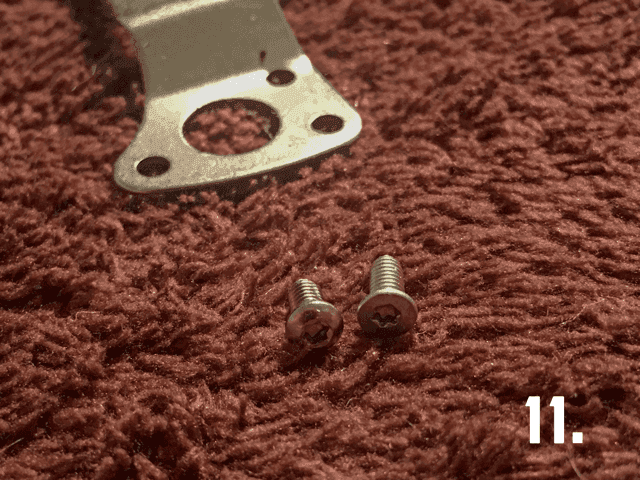 Then last but not least, you should just have 3 round headed screws left. 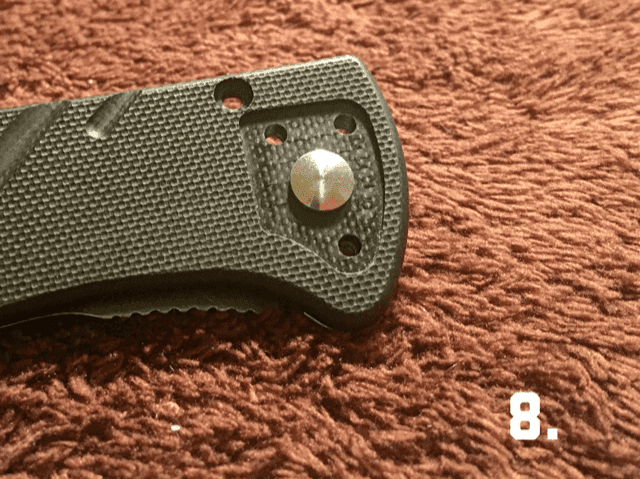 Use those to attach and tighten down the pocket clip. And that’s it.. simple. 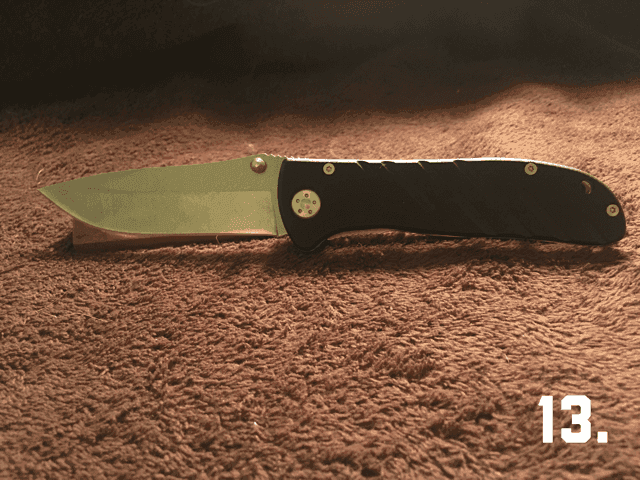 I will do a review of the finished knife in the near future, but my first impressions are pretty positive. This thing locks early and locks solid. It has a nice heft to it, and it feels pretty good in the hand, at least in my average size hands. 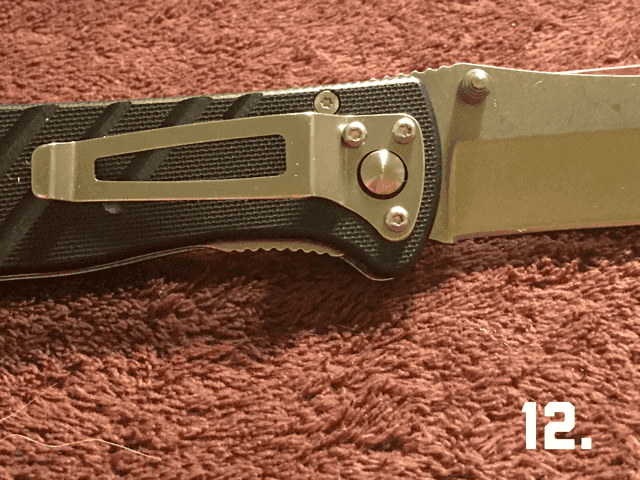 USAknifemaker.com says on their website that this knife is made in China, well if that is the case then it’s probably the best China made knife I have ever held. I would expect a price point at least double of what it is. They market this kit as something the customer could modify or customize. One simply has to look at the website and get all sorts of scale ideas. The kit comes in stone washed, satin, or black blade finishes so I can see a lot of possible versions. 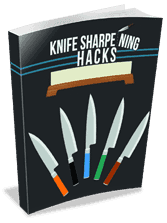 If you are a beginner to blade smithing, or knife making, this is a perfect kit to start with. Also If you are like me, and have a hard time knowing what to give teenagers as a gift, you could do a lot worse. Depending on the person it could be even for younger kids. Maybe even scout projects. It’s not as hard as some models I have put together. Do yourself a favor, visit USAknifemaker.com and pick a few up. Well there you have it. For the money it’s a great deal. 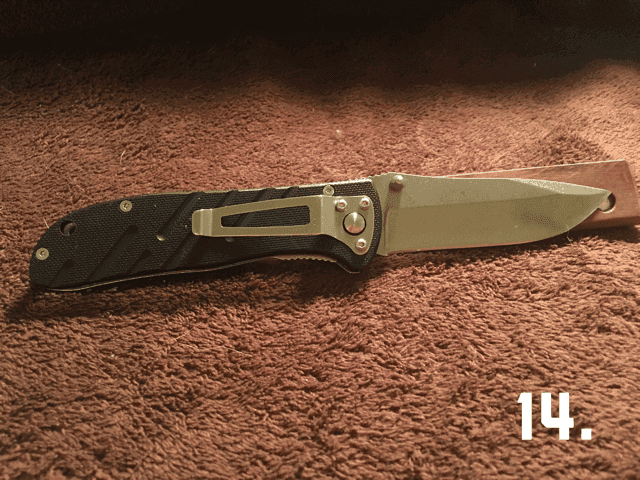 I do plan on going back and changing out the scales with something besides basic black, and when I do I plan on adding some sort of compound to the screw threads to keep them secure but prevent them from seizing up, cause I can see myself changing scales and playing with this knife. Or perhaps have a give away. What do you think? Comment and let me know.